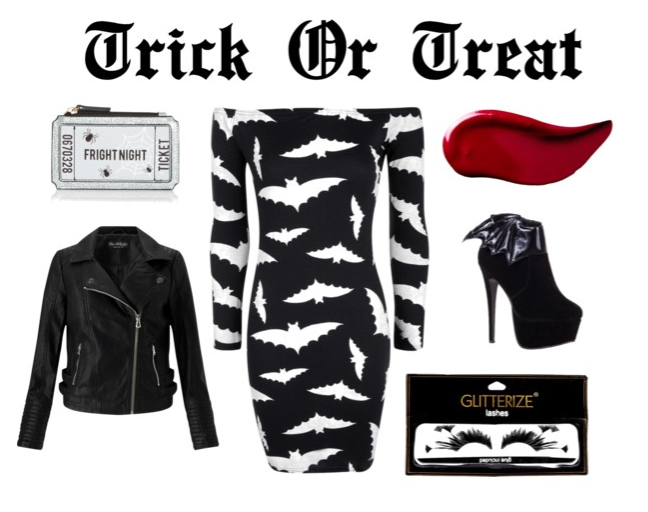 So while getting dressed up like the living dead or a member of the Pink Ladies is fab, sometimes you want to have that nod to Halloween without wearing a full costume. Maybe it's more of a girls night out or a grown up party and you want to look drop dead gorgeous, so I've put together some gorgeous Halloween themed outfits that really will give you those platform boots and tombstone looks! For me Halloween is the perfect time to go shopping for clothes I'll wear all year round. I'm a sucker for anything creepy, black or that little bit Goth! I decided instead of showing you my round up of fave Halloween outfits, I do something a bit more grown up and fashionable; Halloween themed sleek outfits that are perfect for any creepy party! These Shoes <3 Can't wait till Halloween. I like the Prettiest Zombie look a lot. I can wear that. Loving these outfits! When it comes to Halloween I'm still really a child at heart. LOVE dressing up!